Further afield through a landscape of craggy forested sierras lies Sevilla, a city that lives life to the full. The luxuriant jungle of botanical gardens that is the Maria Lluisa Park, the once Jewish quarter with its picture book wrought iron clad houses and the vast cathedral are just a few of the good reasons to visit. To the east, dramatic scenery is formed by the deeply plunging gorge of El Chorro, which carves its way through breathtakingly pretty valleys of lush wooded slopes. North of here, Córdoba offers the awesome dimensions of the 'Mesquita' or Great Mosque and the myriad of white alleyways and flower filled patios that is its ancient Jewish quarter. Its temperate, almost sub-tropical climate makes Andalucía Spain's kitchen garden, producing an appetising variety of fruit, vegetables, herbs and olive oil. Spring arrives early and brings with it warm temperatures, making the months of April and May a pleasant time to visit. Inland, summer temperatures frequently exceed 30°C, whilst sea breezes temper the heat on the Costa de la Luz. Local specialities include scrambled eggs with wild asparagus and various flavourful game dishes. Finish off with 'piñonate' (a sweetmeat of almonds and pine seeds) or the exquisite 'pestinos de almendras' (almond pancakes). On the coast, tuna is offered in any one of over 1000 different recipes while the 'caldillo de perro' (fish soup) is always delicious. Meals can be complemented by a smooth glass of 'manzanilla' from Sanlucar de Barrameda, perhaps a sherry from Jerez or El Puerto de Santa Maria, or a glass of local wine from Chiclana de la Frontera. The light, white 'Tierra Blanca' is a perfect lunchtime accompaniment. The exuberance of Andalucía is never more evident than at festival time. On the coast, in July, there are fiestas in honour of the 'Virgen del Carmen', patron saint of sailors and fishermen. The impressive nocturnal procession that takes place at sea in Barbate should not be missed. 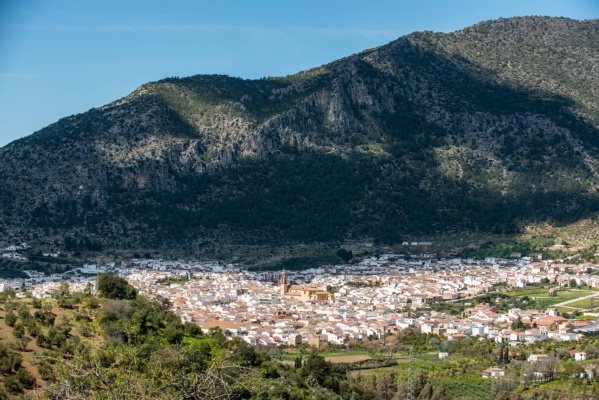 Charter, scheduled and 'no frills' flights operate from a number of UK regional airports to Màlaga, which is a 1½ hour drive from Ronda, 2 hours from the Alpujarras and around 2½ hours from the Costa de la Luz. Also suitable for our Andalucía houses are the airports of Sevilla, Gibraltar and Jerez. El Bosque is situated on the banks of River Majaciete in the foothills of the Sierra de Grazalema. This typical Andalucían village cannot fail to charm. A refreshing walk along the river banks, a tapa of local goats’ cheese, a tipple of sherry, or a visit to the botanical gardens - these are just a few things to do here. Famous for its furniture making, El Bosque (translation ‘the forest’), is surrounded by luscious greenery, so there is plentiful flora and fauna to be enjoyed, easy walks, and some excellent restaurants in which to discover the delights of the local cuisine. 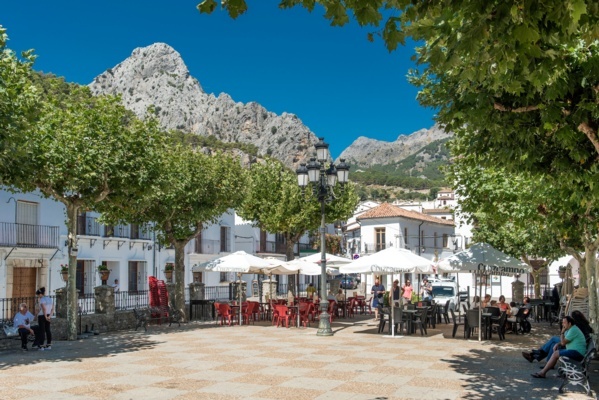 Surrounded by stunning scenery of rolling hills in the Sierra de Lijar, the typically whitewashed village of Algodonales offers a delightful southern Spanish ambience within its orange tree-lined streets. In the background, the restful sound of water can be heard from its twelve fountains and during the much-celebrated festival of Corpus Christi, the church square of Santa Ana is decorated with a wonderful display of colour. Situated just north of the picturesque inland lake of Zahara, the town forms an ideal base from which to explore the picture-postcard scenery of the surrounding area: the lakeside village of Zahara de la Sierra with its hilltop castle, the imposing peaks and abundant wildlife of the Sierra de Grazalema and the pretty whitewashed ‘pueblo blanco’ of El Gastor are all just a short drive away. A nature lover’s paradise, Grazalema nestles into a backdrop of steep limestone rocks and verdant pine forests. 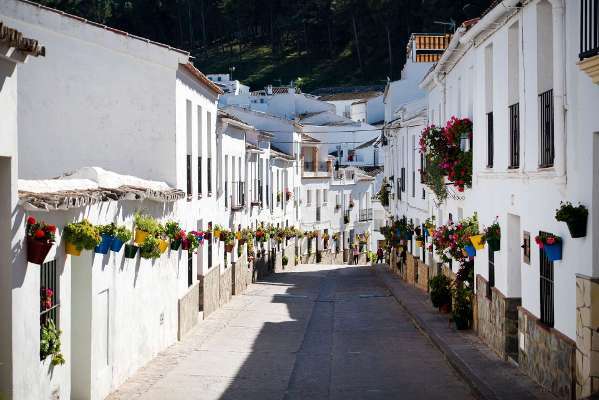 It is a charismatic whitewashed village, with tightly packed houses adorned with colourful potted plants, friendly people, and a good choice of small cafés and restaurants in which to sample typical Andalucían dishes. Local crafts such as leather goods, honey, cakes, cheese, ceramics, wines, and wool blankets and shawls, can all be found in the plentiful local shops. The surrounding area is perfect for walkers, birdwatchers, photographers and outdoor enthusiasts. With a multitude of rocky ridges, gorges, and fertile valleys, there is an impressive array of wildlife to be enjoyed. Known as the balcony to the white villages, 360° views can be enjoyed from many points around this traditional Andalucían village. El Gastor is a place to get away from it all and feel that time has stood still. Meandering through the maze of narrow streets, exploring its many hidden treasures, visitors can expect to be welcomed with a friendly smile. A relaxing time can be spent sipping a cool drink in a small café in the church square, and, just as the unhurried locals do, watch the world go by. For the more energetic there are some stunning local walks. During the summer months kayaks are available on the lake at nearby Zahara, and amongst various other activities, cycling along the Via Verde at nearby Olvera is popular. 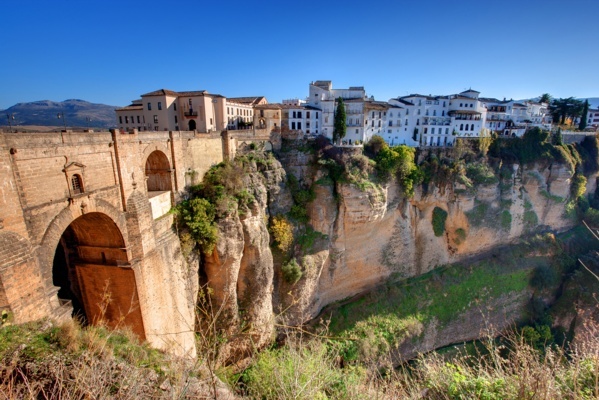 Perched in the Serrania de Ronda mountains, on the edge of an impressive gorge, Ronda is a delight for all who visit. Ronda claims to be one of the prettiest towns in Spain, and rightly so. There is plenty to discover and explore. The iconic bridge leads into the old town, with its labyrinth of little lanes and hidden squares, interior patios, historic monuments and thrilling views into the dramatic landscape below. The bustling new town is a hive of activity, with tapas bars, restaurants and shops offering plenty of local products, with large squares to sit and watch the world go by and soak in the atmosphere of this romantic town. Órgiva is conveniently located between the Moorish city of Granada, home of La Alhambra Palace, and the sandy beaches and marinas of the Costa Tropical. 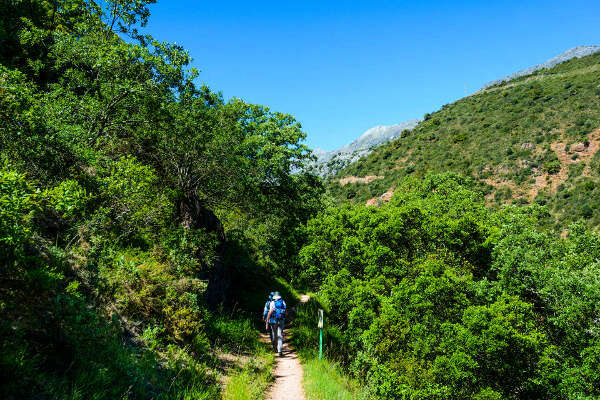 Nestled within the National Park of the Sierra Nevada, it is an ideal base to go hiking, cycling and horse riding through the olive groves and countryside dotted with lemon and almond trees. 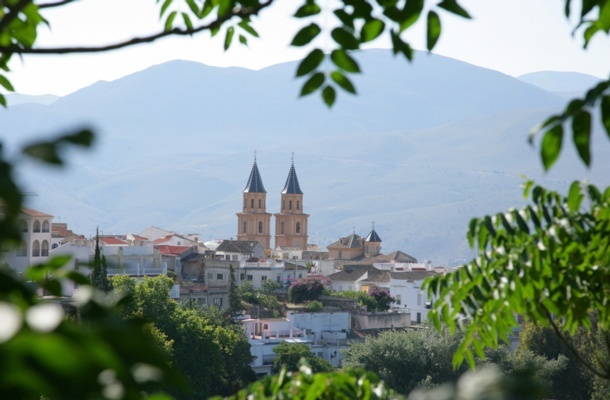 Órgiva is within easy reach of the quaint white hilltop villages of the Alpujarras and also the spa town of Lanjarón. The popular market each Thursday is an opportunity to purchase local produce including hams, cheeses, olives, fresh fruit and vegetables. A pretty whitewashed town, declared a National Monument of Tourist Interest, Vejer is perched on a hill, 200 metres above sea level. The old town is a labyrinth of narrow cobbled streets, archways and geranium filled patios, as well as churches, a castle, the old city walls, a Jewish quarter and the Plaza de España with its famous fountain. In recent years Vejer has become a gastronomic hub and offers a delicious choice of traditional Spanish tapas as well as locally caught Almadraba tuna, Retinto beef, Italian, Moroccan, French, Japanese cuisine, wine and sherry bars. 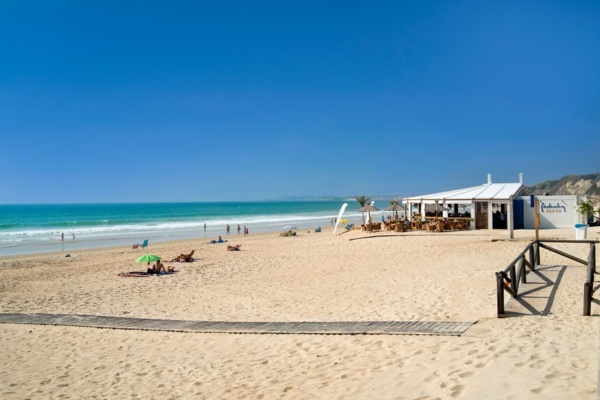 The town is conveniently located 10 kilometres inland from the wonderful Costa de la Luz beaches of El Palmar, Zahora, Los Caños de Meca and Cape Trafalgar. The fishing town of Conil, with its long stretches of sandy beaches, sheltered coves and pine forests, has long been a popular destination with Spanish tourists. Its promenade is lined with fish and seafood restaurants, and its pedestrianised centre is full of local tapas bars and artisan shops. The west facing beach bars are ideal spots to watch the sun set over the ocean. For those wishing to keep active, this coast has surf and kite schools, as well as centres that rent out bikes, kayaks and snorkelling equipment. The weekly Friday flea market is not to be missed. 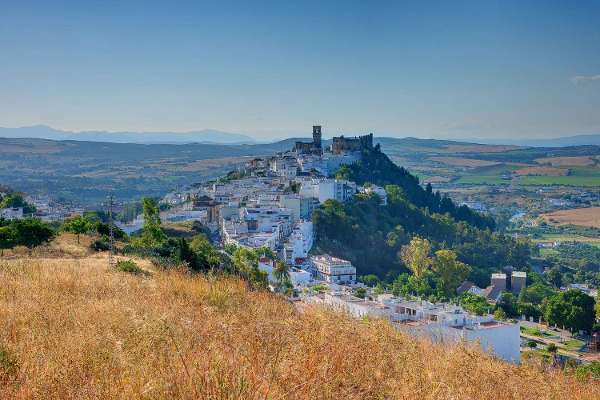 Arcos de la Frontera is a picturesque white hilltop town, perched on the edge of a cliff face overlooking the open countryside towards the Sierra de Cadiz. Declared a National Monument of historic and artistic interest, this quaint town is full of interesting sights such as the Plaza de Cabildos, numerous gothic and baroque churches, a castle and a myriad of winding cobbled streets full of tapas bars, local shops and markets. At the bottom of the hill the lake beach of El Santiscal can be found, great for sunbathing, swimming or practicing water sports. 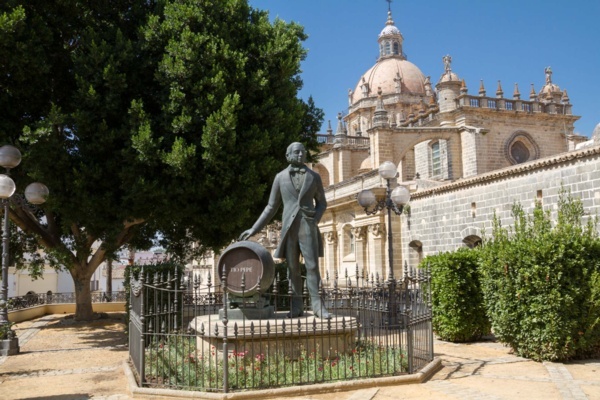 Jerez de la Frontera is home to sherry wine and, along with Sanlucar de la Barrameda and El Puerto de Santa Maria, forms the "sherry triangle". A visit to one of the bodegas is a must. The city is also the home of the Carthusian horse. It is possible to visit La Yeguada stud farm and the Royal Andalucían School of Equestrian Art to see these incredible dancing horses. In the centre of Jerez you will find the cathedral, numerous churches, monasteries and the Moorish Alcazar Palace, as well as fantastic tapas bars and boutique shops. The bars in the Barrio Santiago are famous for impromptu flamenco shows. The city is served by excellent road, train and bus links and is just a 15 minute drive from the sandy beaches of El Puerto de Santa Maria, also renowned for its seafood restaurants.